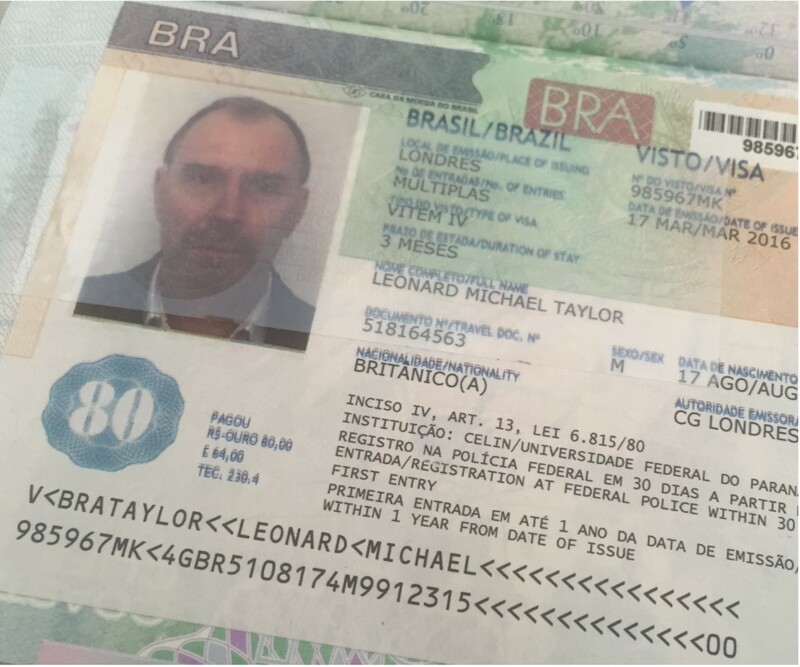 Gringo in Brazil – Hi I’m Lennie Taylor but from now on you will know me as Leo Gringo in Brazil.  I’m a typical British guy, involved with the Brazilian community and trying to learn Brazilian Portuguese whilst holding down a full time job. With such a difficult undertaking I decided to make my life easier and learn Portuguese and something about Brazilian culture in Brazil. This blog “Gringo in Brazil” will record my journey from initial planning to hopefully success. Join me on my journey, ask me questions, make comments even give me advice. I hope this blog inspires you people to learn more about Brazil and its language. Hi I’m Lennie Taylor but from now on you will know me as Leo Gringo in Brazil. I’m a typical British guy, involved with the Brazilian community and trying to learn Brazilian Portuguese whilst holding down a full time job. With such a difficult undertaking I decided to make my life easier and learn Portuguese and something about Brazilian culture in Brazil. This blog “Gringo in Brazil” will record my journey from initial planning to hopefully success. Join me on my journey, ask me questions, make comments even give me advice. I hope this blog inspires you people to learn more about Brazil and its language. For anyone staying in Curitiba for more than a few days a day trip to Morretes or Paranaguá is a must. 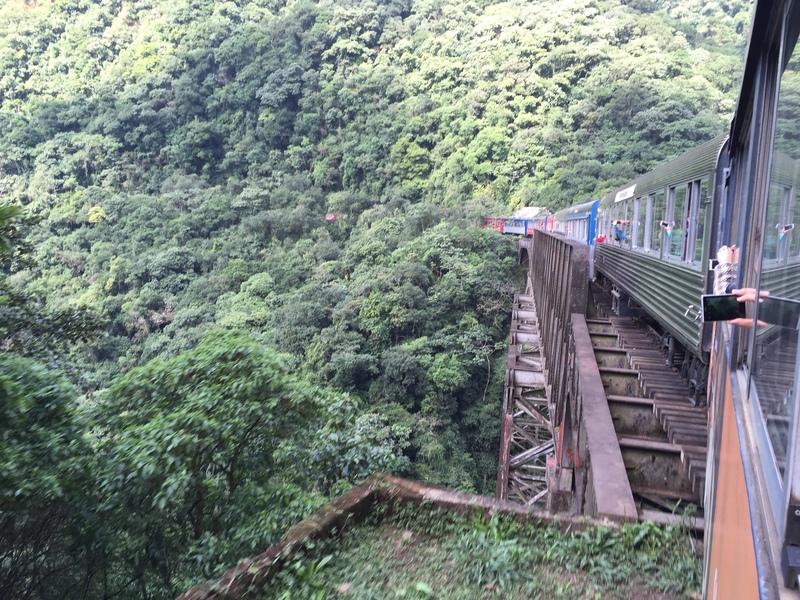 The trains are old, noisy and uncomfortable and the journey to Morretes takes three hours to cover just over 60 kms, The 110 km journey to Paranagua takes another hour but is only available on Sundays. 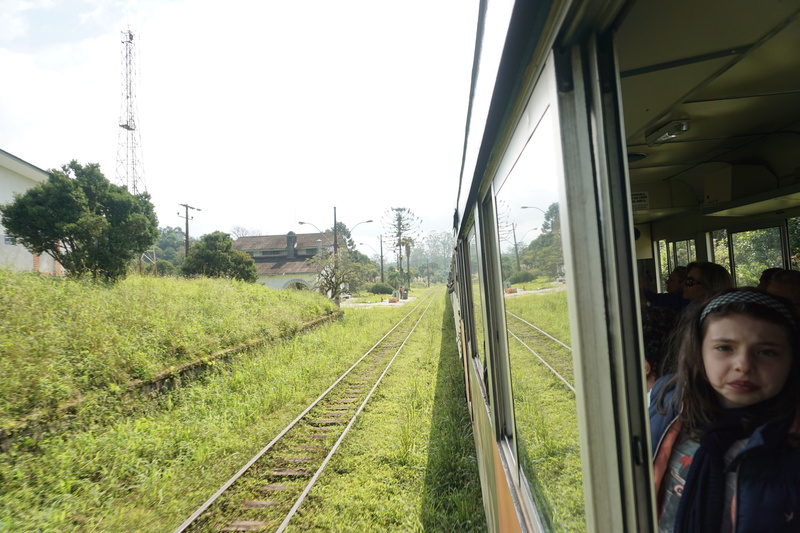 The train ride is one of the most exciting and scenic travel routes in Brazil. It winds its way across the mountains of Serra do Mar, Brazil’s coastal range, in the southern state of Paraná. There are at least four different ticket prices from the very basic, through to having a Portuguese speaking guide to having snacks, free soft drinks and beer and a bilingual Portuguese English guide. 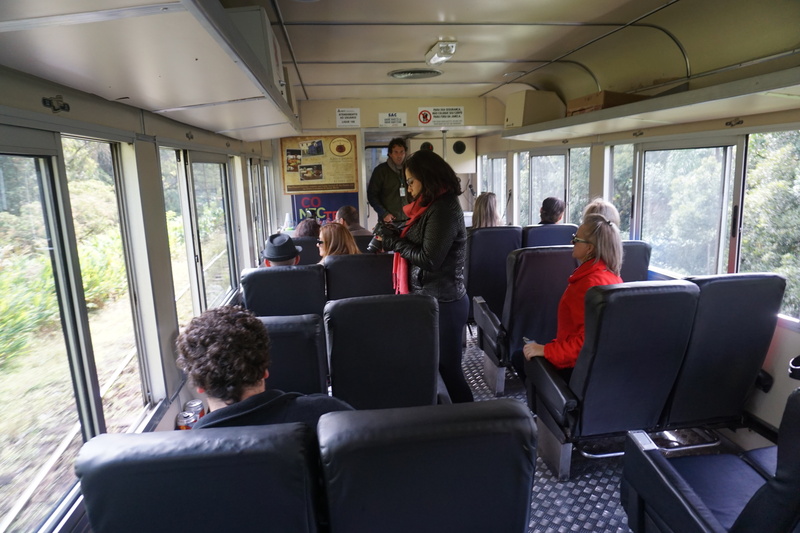 There is also a luxury train where the seats are all sofas and armchairs and dinner can be booked. There are many companies that offer packages on the Serra Verde Express but there is no need to book one of these. It is easy to book your own tickets at the railway station opposite the Municipal Market, behind the Curitiba main bus terminal the Rodoviária de Curitiba. If planning a weekend trip book at least two days in advance. You can check out the fares on the website www.serraverdeexpress.com.br . I booked the ticket which included free beer but as the train departed at 8.15 in the morning I wasn’t sure if it was going to be a good idea. However, my journey was extended by an hour as before we had left the environs of Curitiba we had an emergency stop because a child of six years old had opened the sliding window and either jumped or fallen out, things like this can still happen in Brazil. Luckily the little boy bounced and after being checked out by paramedics was allowed to continue the journey to Morretes. After this incident it was time for a beer and I sat back to enjoy the journey down the mountain from the 935m elevation to the nearly sea level of Morretes. The journey between Curitiba and the port city of Paranaguá via Morretes, owes its appeal to the engineering feats accomplished in the construction of the railway as well as to the natural beauty and cultural attractions along its path. The journey takes you through 14 tunnels and across 30 bridges. The ride’s engineering highlights are the São João Bridge, which hugs the mountains at a towering 55 metres high and the Viaduto do Carvalho, which sits on five pillars of masonry on a rock slope. The construction of the railway was ridden with tragedy. Of the more than 9,000 workers hired for the job, over 50% died. When the plan to build the Serra Verde Express came up in the 1860s, it was the most complex work of engineering in Brazil, considered impossible by European professionals at the time. Work started in 1880 and finished five years later. The main reason for building the railway was the need to create a route for products from the southern states of Brazil to the ort of Paranaguá. Unlike other Brazilian railways, which were abandoned as Brazil made the decision to opt for road transportation, the Curitiba-Paranaguá railway continued largely due to its tourist appeal. 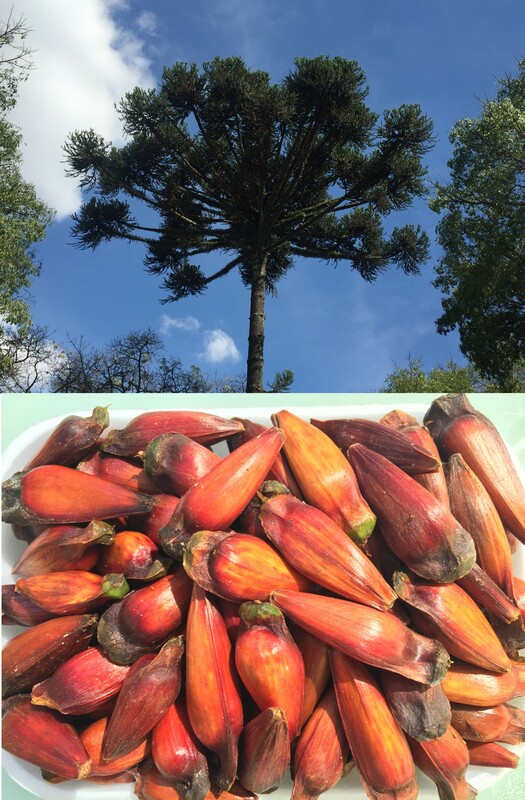 However, today it is still a major export route for grains mainly soya and maize from the warehouses and silos in and around Curitiba to the rest of the world. Our journey first took us through the grassland countryside with the ubiquitous Parana pine trees before entering our first tunnel and emerging into the Atlantic Rainforest, Biosphere Reserve with its very different fauna and flora including blue hydrangeas, bamboos, strap lilies and bromeliads in the trees. The Atlantic Rainforest is endangered, even more so than the Amazon Rainforest and the United Nations as well as several other organisations have sought to preserve this precious type of rainforest, less than 1% of the original area survives today. Over the past several hundred years, almost all of this type of rainforest has disappeared, and now is limited to the deep southern regions of Brazil. On arrival in Morretes, which, by now was already lunchtime my travel companions and I chose a restaurant Villa Morretes that was not frequented by one of the many tourist groups. It was one of the best decisions of the day. For lunch we all ate the traditional slow cooked beef stew, barreado, served with rice and farofa (manioc flour), The stew was great but the addition of other than a small amount of farofa made the stew a bit gluey. One of the traditions after mixing the barreado with the farofa is to turn your full plate upside down above your head and watch in amazement as he whole plate of food sticks stubbornly to itself. Definitely a rib sticking meal, but definitely worth a try. Morretes is also well known for its cachaça which is kept for at least seven years in barrels before bottling, The restaurant Villa Morretes offers free tastings of 2 or 3 different types. After lunch we made a stroll through the town with its quaint architecture and street market, selling local crafts, honey, sweets and many different flavours of cachaça. Things to do before and after school – Your first weekend. Posted on 28th May 2016 Leave a comment on Things to do before and after school – Your first weekend. If you are new to Curitiba I recommend, at the first available opportunity, probably your first weekend to take the city tour by bus. 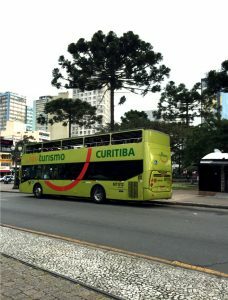 Called the Linha Turismo, it is the perfect way to get to know the city and its best attractions. 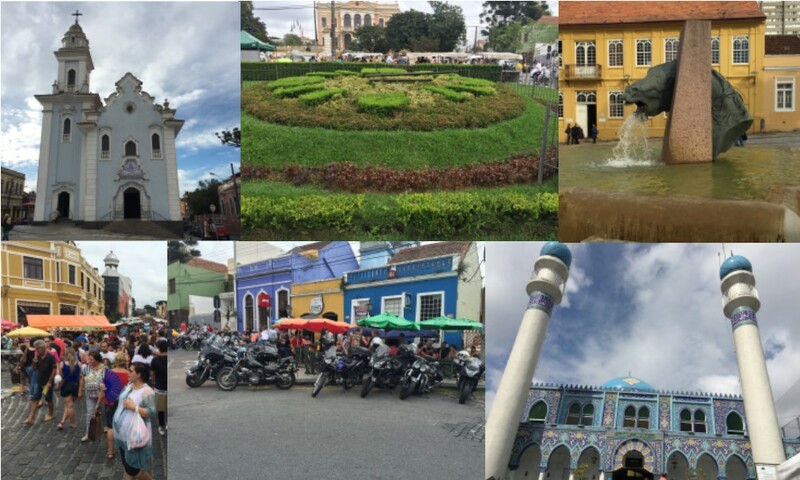 The tour starts from a square in the centre of the city called Praça Tiradentes. Buses run every half hour starting at 9 am. Your ticket gives you five vouchers which allows you to get on and off the bus four times along the route. There are more than four places worth seeing so I suggest you see those places further from the centre and more difficult to get to and leave the more central places for another day. However, I recommend you get an early bus as you will need most of the day to do and see the things I suggest. Check the weather forecast before buying your ticket, although there are lots of things to see indoors, it is a much better experience when it is not raining as there are several parks to see. I have copied the itinerary from the official “Linha Turismo” website so you do not have to leave the blog. However, I have added some comments and recommendations of where to visit. If you cannot go on a weekend, do not go on a Monday as some of the attractions are closed. Considered to be the tour’s starting point. A busy traditional square with lots of tubular bus stops. The “Catedral Basílica de Nossa Senhora da Luz” is located here and worth a visit. Built in Gothic style, it was renovated for its centenary in 1993. Don’t forget to look down at your feet and see the wonderful designs in the “calçadão” and look up to the heavens to see the famous Paraná Pines Araucaria angustifolia. Rua XV de Novembro (15th of November Street) is one of the major streets in central Curitiba. Also known as Rua das Flores (Flower Street), it was the country’s first “calçadão” (Pedestrianised street with black and white decorated stones under foot), inaugurated in 1972. Calcadões are one of the hallmarks of the city’s cultural revolution. It is very common to see every kind of artistic performance, such as mime artists and clowns who interact with those who pass by, musicians, magicians and other miscellaneous performers, such as the Statue Man. You can go to Rua XV anytime so don’t use one of your stops here. 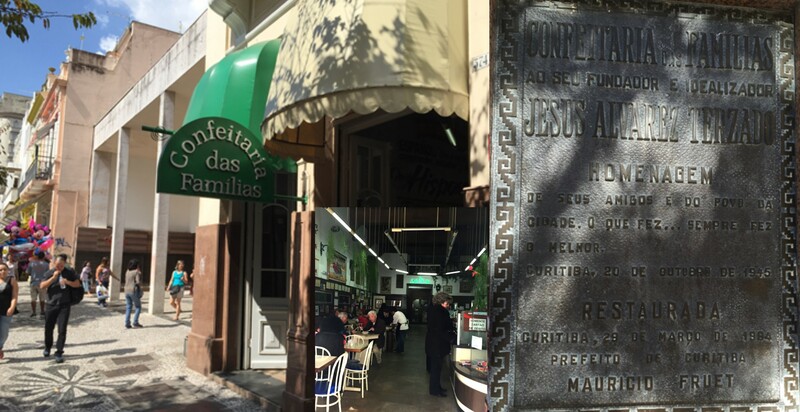 Rua 24 Horas was opened by Jaime Lerner, the mayor of Curitiba, in 1991. It initially opened 24 hours a day. The mall closed in 2007 for renovations and reopened in 2011. On reopening, the hours were limited to 9:00 AM to 10:00PM. The street displays once again the architecture that made it known worldwide, with the large arches and the 24-hour clock. No worth using one of your stops here. Built in the old railway station, it shows how the station would have looked a century ago. The building next to it is the Shopping Estação mall, The mall and the museum are directly opposite my apartment block and are worth a visit but not on your first weekend. 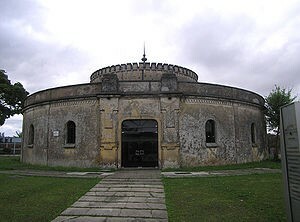 Built in 1906, the old gunpowder storeroom was “recycled” into an arena shaped theatre in 1971. Blessed by the poet Vinícius de Moraes, it marks the beginning of Curitiba’s cultural transformation.Not worth using one of your stops here. 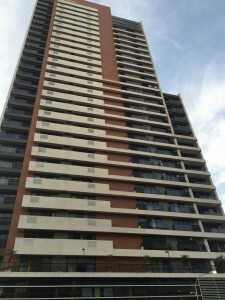 Curitiba’s landmark, it was opened in 1991. Its metallic greenhouse holds botanical species that are national references and attracts researchers from all over the world. I would make this your first stop of the day. The Teatro Guaíra is located in the Praça Santos Andrade, and it’s one of Latin America’s largest theatres. It is in fact three theatres in one. 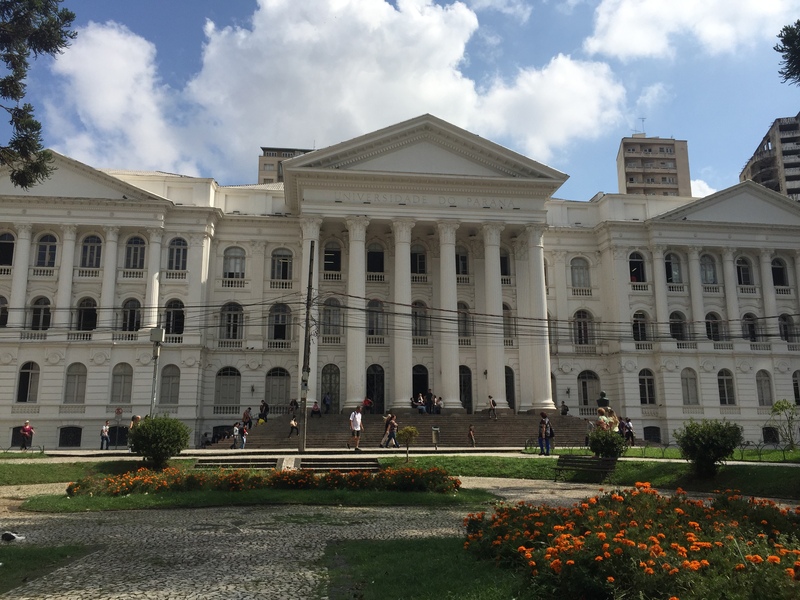 On the other side of the square, is the Federal University of Paraná, the first University in Brazil. Not worth getting off the bus for but certainly worth going to a concert or the ballet. It’s a construction dating from 1916 and was the former City Hall of Curitiba. Built in brick over concrete blocks and masonry in a neoclassical and art nouveau style. It is registered by Institute of Historical and Artistic Patrimony (IPHAN). Currently it is a cultural centre. Not worth getting off the bus for but the square in front and the building itself are worth a look on a walk around the centre. Located in the Praça Gibran Khalil, the Memorial is a modern construction, inspired by the people of the desert. Inside the building there is a library. The Passeio Público was the first public park in Curitiba and also housed the first zoo in the city. It used to house large animals but nowadays there are only small animals. The Passeio Público is worth a visit but not on this trip as it is in easy walking distance of the centre. Headquarters for Paraná’s state council, it was built in 1953, on the centennial of the State’s political emancipation. No need to get off the bus, just look at the wide open spaces through the bus windows. 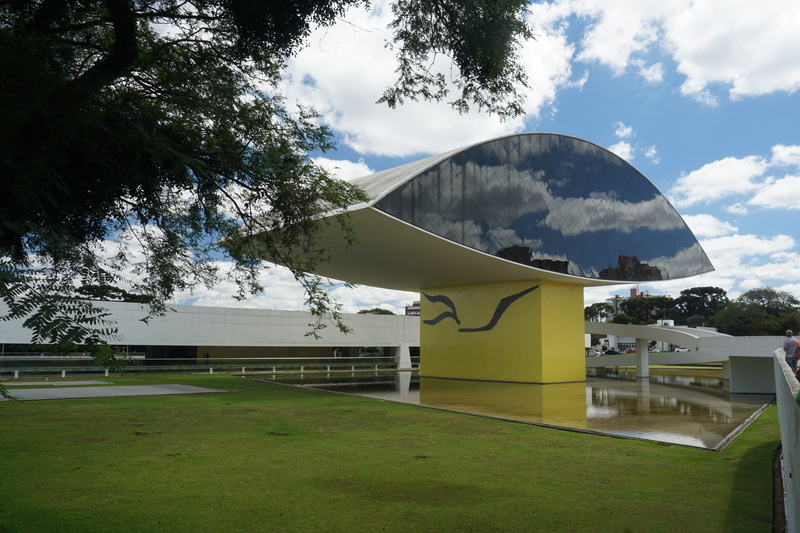 It is the largest and the most modern museum in Brazil. Designed by the architect Oscar Niemeyer, the “Eye” is one of the buildings where he took personal control of the construction. One of my favourite places in Curitiba, definitely worth a visit, but maybe not on this trip as you need time and it is fairly close to the centre. Very close to the museum is the Bosque Joao Pãulo II (Bosque do Papa) see below a wood for walking and just outside the wood on Rua Viêira dos Santos is the Mary Ann Apple Factory a great coffee shop if you love toffee apples or apple pie. Memorial of the Polish immigration, it is composed of seven houses made of wooden logs, tucked away in native woods. It was opened in 1980, soon after Pope John Paul II’s visit to Curitiba. I would combine on a different day the MON above and this wood. The “Bosque Alemão” is dedicated to the German immigrants. Its special attractions include the Hansel and Gretel Trail, taken from one of the Brothers Grimm’s tales. The Enchanted House, the Bach Oratorium and the “Torre dos Filósofos” (The Philosopher’s Tower), which has a magnificent view of Curitiba. This wood is worth a visit, it is best to start at the top and walk through the woods to the bottom. Amid the green forest of Zaninelli and with the presence of oceanographer Jacques Cousteau, the Universidade Livre do Meio Ambiente was opened in 1992. It is the first university in the world created to study the development of environmental preservation. It is a place I have never been to so cannot really comment. An old glue factory gave way to the Creativity Centre, with courses, workshops and exhibition rooms. The park also has a race track and a lake and is surrounded by native forest. A Definite must, but not on this trip as I prefer other parks. Built in a tube-like structure, the Ópera de Arame, opened in 1992, is a magical space that blends into the nature of its surroundings. 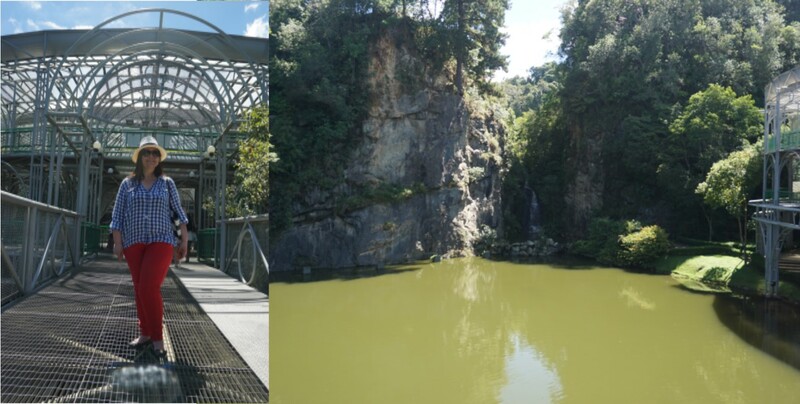 Next to the opera house is the quarry Pedreira Paulo Leminski, which is a stage for great cultural and artistic events in Curitiba. I would take a break here, wander around for a while, have a beer in the bar opposite and wait for the next bus. Although it is possible to walk to Parque TanguÁ from here, I know because I’ve done it. Parque Tingüi reminds us of the first occupants of the “Campos de Curitiba” the Indians of the Guarani nation. Worth a visit but depending on the time of year take your insect repellent. My recommendation is not today. The Portal shows the beginning of the neighbourhood Santa Felicidade, imitating the typical buildings of this Italian immigrant’s neighbourhood. Don’t get off the bus here but go to the next stop at the top of the hill and stop for a well deserved late lunch. A Colony started in 1878 by Italian immigrants. 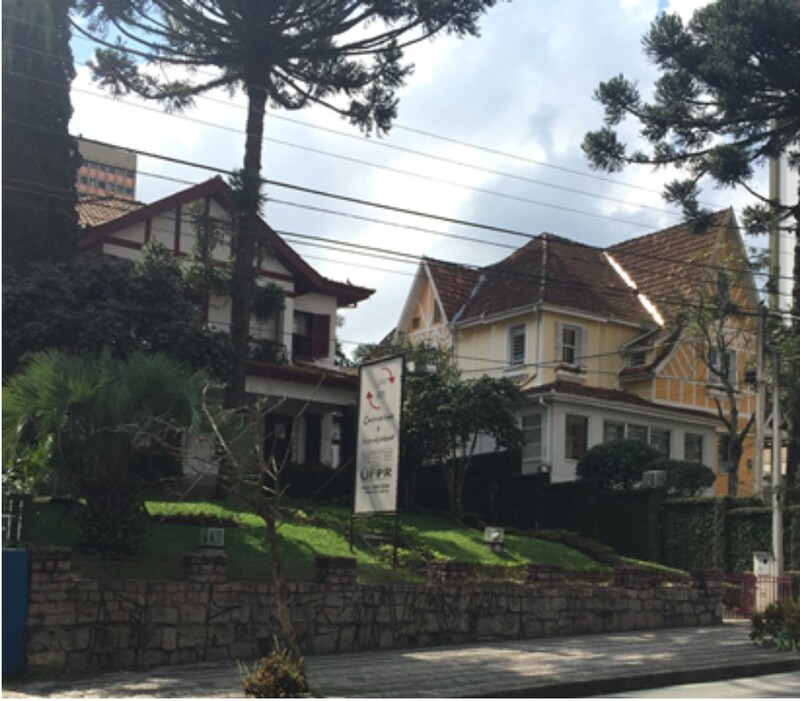 It used to be Curitiba’s main gastronomic centre and has many typical houses, which are preserved for historical, architectural and sentimental reasons. There are several restaurants to choose from. 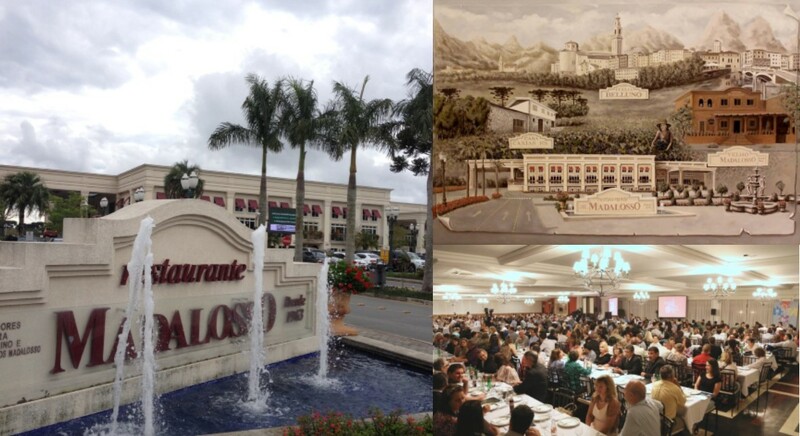 I recommend the Rodizio Churrascaria Madalosso, as the food is quite good and it is definitely an experience in being one of the largest restaurants I have ever been to being able to seat a few thousand people. Maybe the largest restaurant in South America. 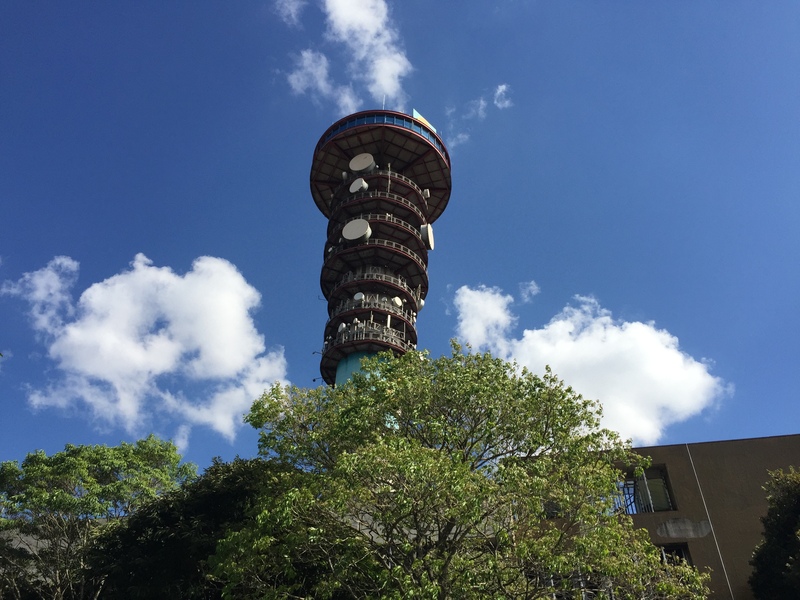 The only telephone tower in Brazil with an observation deck for sight-seeing that is open for visits. One hundred and nine and a half meters high, it was opened in 1991 and it is one of the most visited tourist points in Curitiba. The watch tower has a view of 360°. Worth a visit if time permits and you have a stop left. You can always take a short taxi ride back into the city centre if you have no bus tickets left. See my Video Blog. The ruins of the church São Francisco de Paula, which was never completed, the Relógio das Flores (a working clock made of flowers) the fountain “Fonte da Memória”, old churches and reformed old mansions that are turned into cultural spaces, make up the historical sector of the city, where one of the most prominent features is the memorial dedicated to Curitiba, the Memorial de Curitiba. On Sunday mornings there are, at Igreja do Rosário, a mass for the tourists and also on the street, a craft fair. Leave this for a Sunday morning shop before lunch. Here you can find several bars including the famous Bar Alemão. If asked to consider the beauty of Brazil, Curitiba is not the first place that springs to mind. But the country’s richest and greenest city has so much to offer. Curitiba, “Pine Nut Land, is the capital and largest city of the state of Paraná. The city’s population is just under 2 million, making it the eighth most populous city in the country, and the largest in Brazil’s Southern Region. 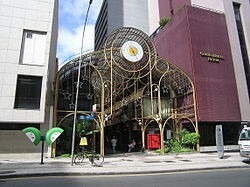 Greater Curitiba comprises of 26 municipalities with a total population of over 3 million.Curitiba is an important cultural, political, and economic centre in South America. The city sits on a plateau, 932 metres above sea level and is located 105 kilometres west of the major seaport of Paranaguá. The city hosts the Federal University of Paraná, the oldest and one of the most prestigious in Brazil. 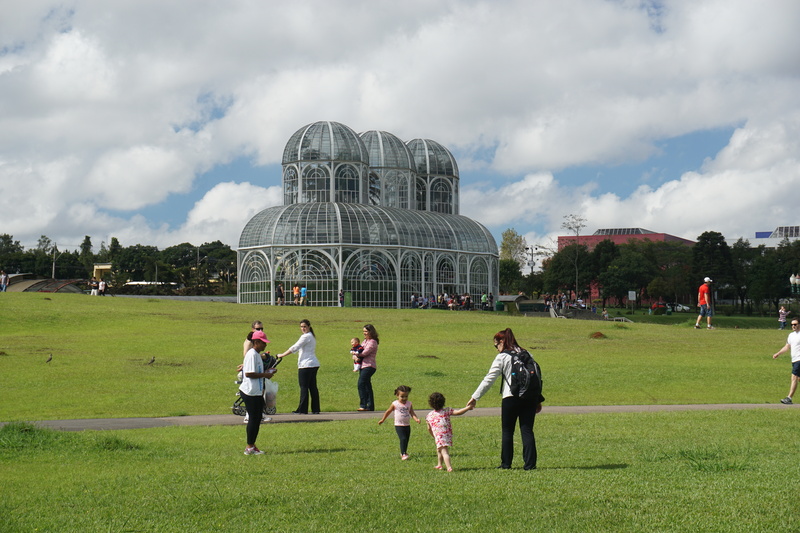 Curitiba has a subtropical highland climate and the city lies in a humid temperate zone. It has a mild and wet winter, with an average minimum temperature of 7 °C. During summertime, the average temperature is around 25 °C in the day but it can get above 30 °C on some days. Its altitude makes it the coldest Brazilian state capital. 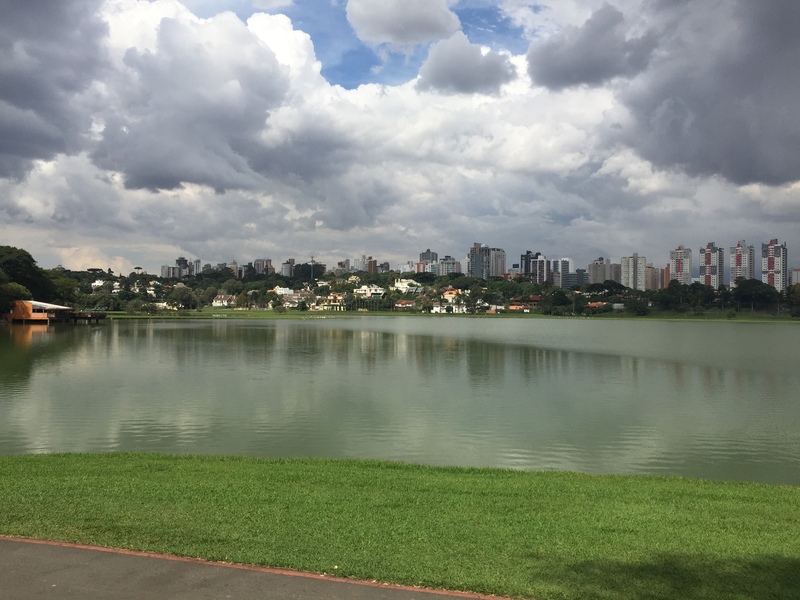 Curitiba has 26 parks, the oldest of which is the centrally located Passeio Publico, which opened in 1886, numerous forests and over one thousand green spaces some of which will be featured in this blog “Gringo in Brazil”, see below. The green urban areas of Curitiba are amongst the largest in the world and this is why it is known as Brazil’s Green Capital and is regarded as one of the world’s best examples of green urban planning. Southern Brazil is not where you would expect to find the city that chartered the course towards urban sustainability for the rest of the world. The unique culture of enlightened urban policy and citizen engagement first emerged in Curitiba in the 1960s. The events that set the stage for Curitiba’s success revolved around the military dictatorship that ruled Brazil between 1964 and 1985. Government officials were appointed, not elected and could impose whatever they wished within their jurisdiction. Curitiba is a rare example of this power being used well, a fact that has everything to do with its three-time mayor, Jaime Lerner. Lerner could be seen as a benevolent dictator, he was an architect and urban planner, not a politician and his vision of what a city could be was backed with a profound understanding of how to make it happen. Though Lerner’s ‘sustainability regime’ was imposed on the city in the beginning, the results were so positive he was elected by an overwhelming majority after democracy was restored in Brazil in the 1980’s. Creating and retaining parks and green space beside the rivers. This acts as a floodplain. When the Iguazu River floods, some areas created are used as boating lakes. The green spaces being dedicated to different ethnic and immigrant groups. Urban growth is restricted to corridors of growth – along key transport routes. Tall buildings are allowed only along bus routes. A rapid transit bus system operates. This is cheaper to run than a tube system. Some employers subsidise their employees who use it. 80% of travellers use it. The rapid transit bus system uses triple section bendy buses up to 28 metres long (ônibus bi-articulado). The system carries two million passengers a day. The bus fare is the same wherever you go. No one lives more than 400 metres from a bus stop. “Lighthouses of Knowledge”. These are free educational and internet centres. A green exchange programme. The urban poor bring their waste to neighbourhood centres. They can exchange their waste for bus tickets and food. This has many advantages, for example the urban poor areas are kept clean, despite waste trucks not being able to reach them easily. COHAB, the public housing programme, provides 50,000 homes for the urban poor. The city was originally named by the Portuguese in 1693 as “Vila da Nossa Senhora da Luz dos Pinhais” (Village of “Our Lady of the Light” of the Pines) but the name was changed to “Curitiba” in 1721. One theory is that the chief of the local indigenous people demanded a shorter name and requested the name kurí tyba, meaning pine nut land in the local Tupi language. The original settlers of the city were Portuguese and Spanish immigrants that were predominantly cattle-farmers. For most of its early years, Curitiba’s agriculture consisted of subsistence farming while its economy was centred on mineral extraction. Curitiba’s agrarian economy was bolstered by the cattle drivers called tropeiros that visited and settled in the region during the winter periods. These cattle drivers travelled with their herds from Viamao in the state of Rio Grande do Sul to the fair in Sorocaba in the state of Sao Paulo. While the tropeiros stayed in Curitiba, they traded with local merchants and helped to establish Curitiba as a transit trading post for different kinds of minerals, livestock and agricultural products. This was the first economic boom that helped Curitiba start to grow as a major city in Brazil but there were three other periods of economic success that occurred before the 20th century; two of which occurred at about the same time. The production and use of the yerba mate plant (Ilex paraguariensis) for tea and the use of wood for the construction of the railway were both highly influential in developing Curitiba’s economy. Yerba mate was used to create a bitter tea called ‘chimarrão’ which became one of Curitiba’s largest exports during the 19th century. It became so successful that the ‘Mate Barons’ who controlled the companies built mansions in Curitiba that still exist today. economic and cultural development. The most rapid population increase was during the 1950s after the development and implementation of the Agache Plan in 1943. The Agache Plan was Curitiba’s first comprehensive plan and was developed in anticipation of a post-World War II building boom. In 1968 came the Urban Master Plan a modification of the Agache plan which was overseen by Jaime Lermer, who after the end of the military dictatorship carried it on as the elected mayor. The Cidade Industrial de Curitiba, or CIC, was developed in 1973 as an economic project to create an industrial zone for the city of Curitiba. The area located outside of the city was designated for new factories and the relocation of city centre manufacturing companies. Over 1,200 factories occupy the space and provide approximately 30,000 jobs all from none polluting industries. With Curitiba being marketed as a successful urban planned area, many corporations were persuaded to relocate. The change from an agricultural processing centre to an industrial centre throughout the 70’s and 80’s was partly caused by the population increase during this time. Today, Curitiba is highly involved in the automotive industry and Volvo, Renault and Audi-VW each have factories in the industrial area of the city. Nearly half the GDP of the state of Parana is due to the industries within Curitiba. In the 1850s waves of European migrants arrived in Curitiba, mainly from Germany, Italy, Poland and Ukraine all of whom have contributed to the city’s economic and cultural development. The German immigrants, who came to Curitiba around 1833, were honoured in 1996 with their own wood, the Bosque Alemão. In the park on the grounds which once belonged to the Schäffer family, immigrants from Germany. In memory of the Polish immigrants, the Curitibanos planted the Bosque do Papa (Pope’s Wood), which was officially opened by the Polish Pope, John Paul II. The descendants of the Ukrainian immigrants celebrate their folk festivals at the Park Tingui, where they have built a wooden Orthodox church in the Ukrainian style. Japanese immigrants began arriving in 1915 and the city has the second largest Japanese community in Brazil, after São Paulo. 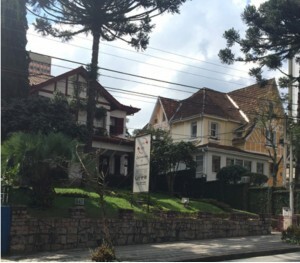 Curitiba also has the second largest Polish diaspora in the world, second only to Chicago, Nowadays, smaller numbers of foreign migrants arrive, mainly from the Middle East, Africa, The Caribbean and South America. The biggest expansion in the population occurred after the 1960s, with the innovative urban planning that changed the population size from some hundreds of thousands to more than a million people. Curitiba’s economy is based on industry and services and is the fourth largest in Brazil. Economic growth occurred in parallel to a substantial inward flow of Brazilians from other cities in the country, as approximately half of the city’s population was not born in Curitiba. Today, Curitiba’s economy is based on industry and services and is the fourth largest in Brazil. Economic growth has occurred in parallel to a substantial inward flow of Brazilians from other cities in the country, as approximately half of the city’s population was not born in Curitiba. 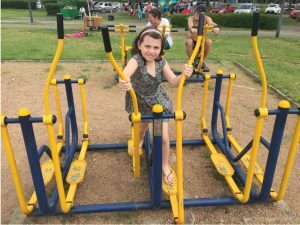 There are free gyms in most public parks, you can see some of the action in my Parque Barigui video, its worth a watch. The first thing to do is decide to study Portuguese in Brazil at the Federal University of Parana (UFPR) Celin language school. Português como Lingua Estrangeira (PLE), Portuguese as a foreign language is taught in 90 hour modules over eight weeks. Courses start 5 times a year in late-January, early-April, mid-June, mid-August and mid-October. If in doubt check out the course details and starting dates on the intercambiohelp4u website at www.intercambiohelp4u.com/. In my opinion you need to book your course at least one month before the start date and preferably two as you will need this time to get your documentation organised. Booking your curse with intercambiohelp4U is the first step and you can pay for it in the UK in pounds sterling or Euros without having the hassle of having to do an international transfer in Brazilian Reais. Within two weeks of booking and paying for your course you will receive an official invitation letter from Celin, which is required if you are going to apply for a student visa. Do I Need a Visa to Study at Celin? The answer to the question is it depends. I went through the process of applying for and obtaining a student visa, however, it is not strictly necessary. Most information you read states that if you are to study at a Brazilian University then you should apply for a student visa at your local Brazilian Consulate before you travel. However, if your course lasts for less than 90 days then a visa is not required. If you wish to open a bank account on your arrival in Brazil then you will need a student visa. If you are intending to study for more than 90 days even though your first course lasted less than 90 days you need to obtain a student visa before you travel. It is relatively easy to extend a student visa within Brazil but impossible to apply for one from within the country. Most student visas are valid for 12 months, however, for some reason mine is only valid for three. If you need help applying for your student visa, then CartorioHelp4U, a sister company of IntercambioHelp4U, has experts who deal with the Brazilian Consulate in London on a daily basis. In the UK student visa applications have to be made online, you will need a police check to see if you have any convictions, this can be obtained through any police station but can take several weeks, a quicker but more expensive option is to use ACRO Criminal Records Office www.acro.police.uk where a certificate is normally issued within 10 working days. In addition to your police check and invitation letter from Celin, you will need a passport photo, a bank statement showing you have at least the equivalent of USD 2,000 and a copy of your passport. All these documents must be scanned and uploaded to the consular website, you can then go online and book an appointment. All original documents must be taken to your interview. If any are incorrect your application may be rejected. The issue of your visa from your interview takes 3 working days. If you do obtain a student visa and enter Brazil with it then by law you must register with the Federal police within 30 days of arrival, if you don’t you are liable for a fine for each day over the 30 days. I will do a separate post of registering with the Policia Federal as in theory it is straightforward, without a “Brazilian Buddy” it is not that easy. What is a CPF and do I Need One? 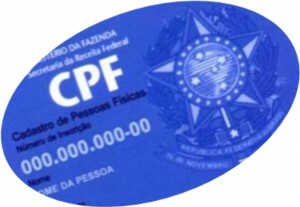 CPF stands for “Cadastro de Pessoas Física (Individual Taxpayer Registry.) It is a document that any person living in Brazil needs to, purchase a property, a car rent an apartment, open a bank account or activate a SIM card for a mobile telephone. By law if you live in Brazil for less than 12 months you do not need to apply for a CPF. However, even though you can register and pay for your course at Celin, within the first 7 days after the course starts you will be asked for your CPF number. I had to provide a CPF number to rent an apartment At the checkout in a supermarket you will usually be asked if you want to register your CPF with the purchase, this allows you to claim some tax back at the end of the year, presumably you also have to pay tax.. A CPF is a unique number to you given once in your lifetime. You can apply for your CPF after arrival or before travel at your local Brazilian consulate. It is reportedly easy to apply for a CPF in Brazil, You just have to fill up the application form at either any Banco do Brasil, Caixa Econômica Federal or Correios agency or directly at the Federal Revenue (Receita Federal). As a foreigner you will need the following documents. Your passport or other identity document applicable to your country of residence which must be translated by a certified translator. You can follow the status of your application on the internet, at Receita Federal’s website, using the attendance number provided during your application. Your CPF number should be available within 48 hours of your application. Unless your Portuguese is good, but then why would you be applying to study Portuguese at Celin, or you have a “Brazilian Buddy” I recommend applying for your CPF, at your local Brazil consulate before you travel. Although it will take several weeks and sometime months to arrive, it takes all the hassle of having to do it on arrival, when you are new to the country, city and language. If you need help applying for your CPF in the UK then CartorioHelp4U can help you. Photocopy the main pages of your passport so that whilst in Brazil you do not have to carry your actual passport with you. I had the photocopy of my passport certified at a local notary, not strictly needed, but more of a belt and braces job. You can have this done in your own country but it will probably cost more than the few pounds it costs in Brazil. Make sure you have adequate travel insurance. Many policies only cover trips for up to 30 or 60 days, ensure your policy covers trips for up to 90 days or more if required. Going to live in a new city, even for a short time is always a worry and with a language problem even more so. I did my research in London before arriving in Curitiba, but did not arrange anything permanently until after I arrived. It is worth checking out the Airbnb website https://www.airbnb.com where you can get a good indication of availability and prices. 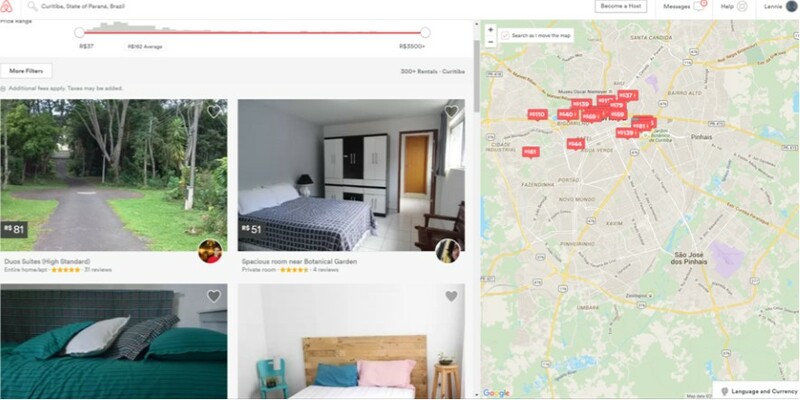 You may be able to find somewhere for your entire stay, but this is unlikely and it is probably best to book from a few days up to one week. 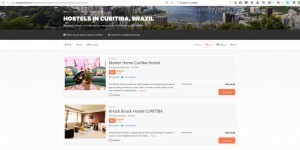 Prices on the website see the screen print below range from R$ 37 – R$ 3,500 per night with an average of R$162 per night. These prices are generally much cheaper than hotels. If you are planning to attend the full course for eight weeks then there are different options available. The CELIN school keeps a list of host families which you can obtain by sending an email to acordoseconvenios_celin@ufpr.br. 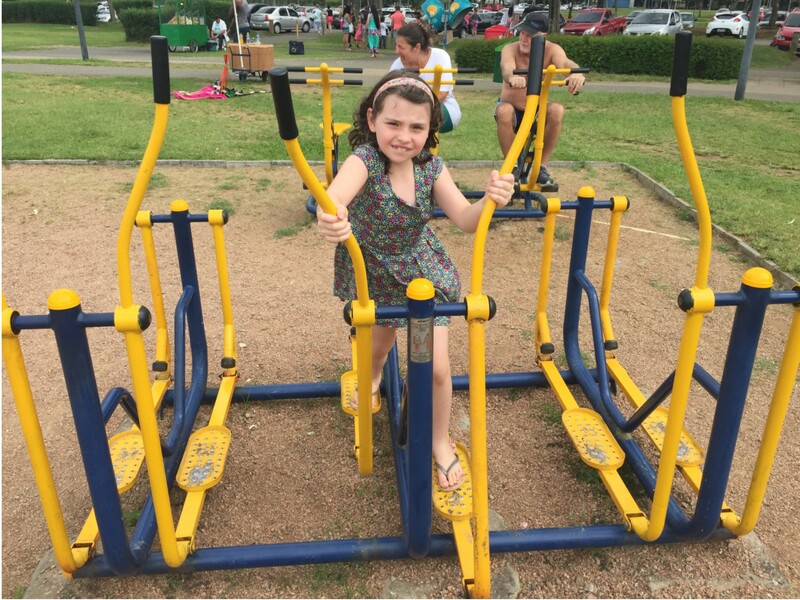 Host families provide everyday immersion in Brazilian culture as students share daily life with local people. Sharing an apartment with other students is another good option as many students live in the city centre near to the university and where most of the cultural activities take place. 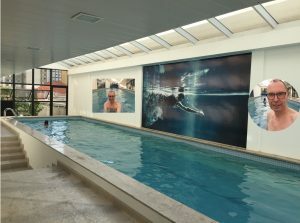 It is worth checking out the following sites www.reicuritiba.org, www.easyquarto.com.br and the Facebook page Curitiba PR-Dividir Moradia. You should have already had a tour of my apartment on the blog “Um Tour Pelo Meu Apartamento” if not check it out, I even try to speak Portuguese. Let’s see how much I improve over the next few weeks. The main reason for not booking a long term let before your arrival is twofold. 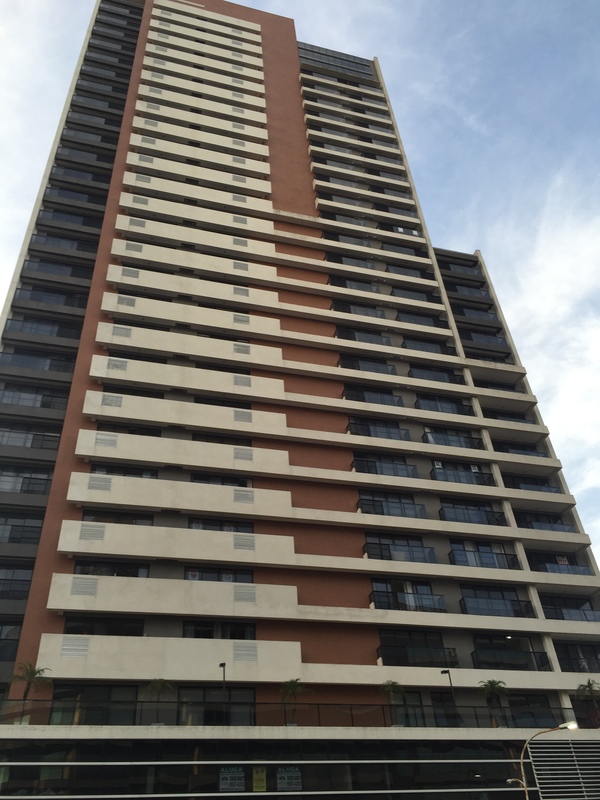 One, you need to see for yourself the standard of the accommodation and secondly and more important for me was that I wanted to explore the different areas of the city and discover how far CELIN was from each apartment. 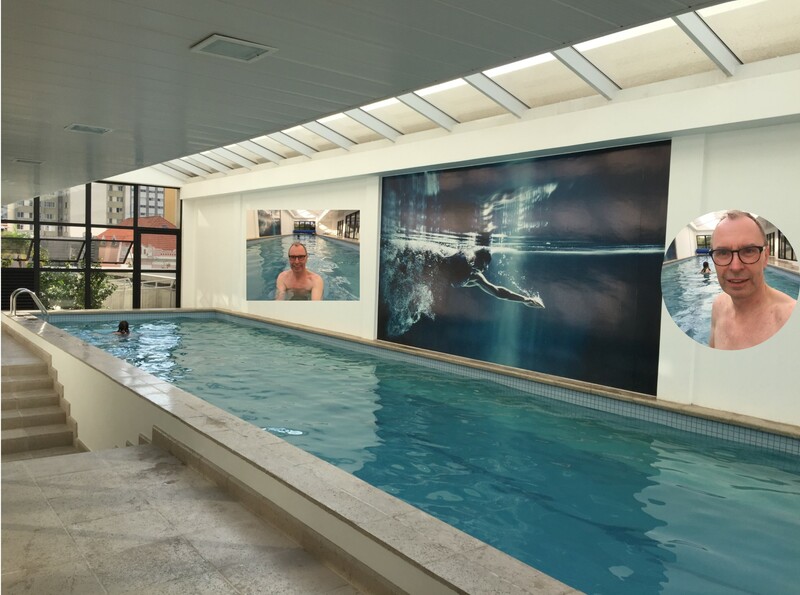 I looked at about eight apartments before choosing Life Space Sete de Setembro. It is near the centre of town, about thirty minutes walk from CELIN and I can walk to most places I want to go or take a short taxi ride. 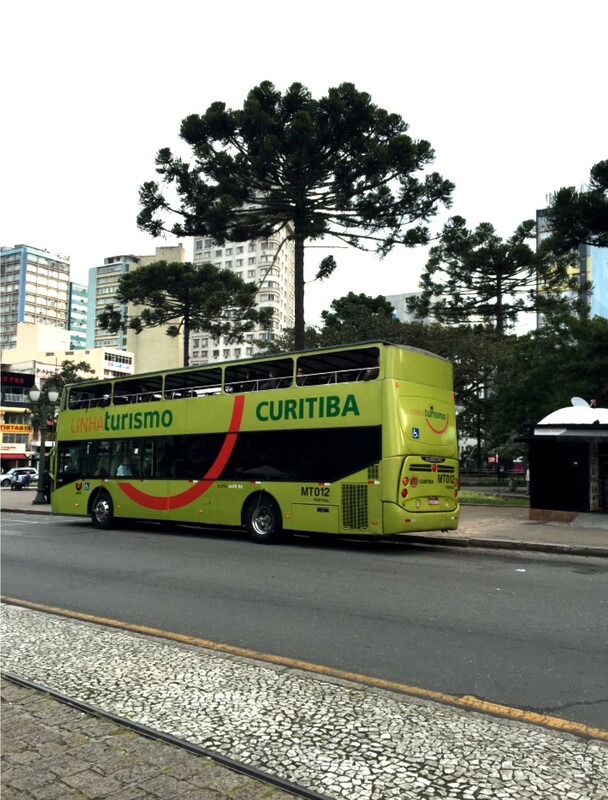 I haven’t ventured on the famous Curitiba bendy busses but I will and I will give you the full lowdown. Any questions on choosing where to live, leave a comment and I will reply. The way I worked it out was to use google maps and put the University UFPR or CELIN on XV de Novembro on the map and then draw an imaginary circle with CELIN in the centre. To help you, Shopping Estação is opposite where I live and it takes me 30 minutes to walk to the school. Eu tenho que fazer minha lição de casa para a escola nesta sexta-feira. Copyright © 2019 Gringo in Brazil. All rights reserved.